The effective evaluation of a newly diagnosed rectal cancer should result in a determination of the need for neoadjuvant therapy, the potential for sphincter preservation, and the expected quality of life following treatment. 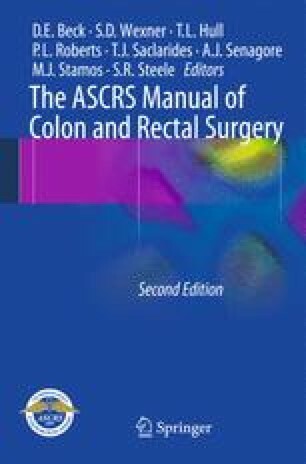 The currently used system proposed by American Joint Committee on Cancer (AJCC) for staging rectal cancer is listed in Table 40.1. The tumor-related factors of prognostic significance, which may be evaluated prior to the treatment of rectal cancer, include the depth of penetration of the tumor through the rectal wall, the presence or absence of metastases to the regional and pelvic lymph nodes, and the presence of distant metastases.